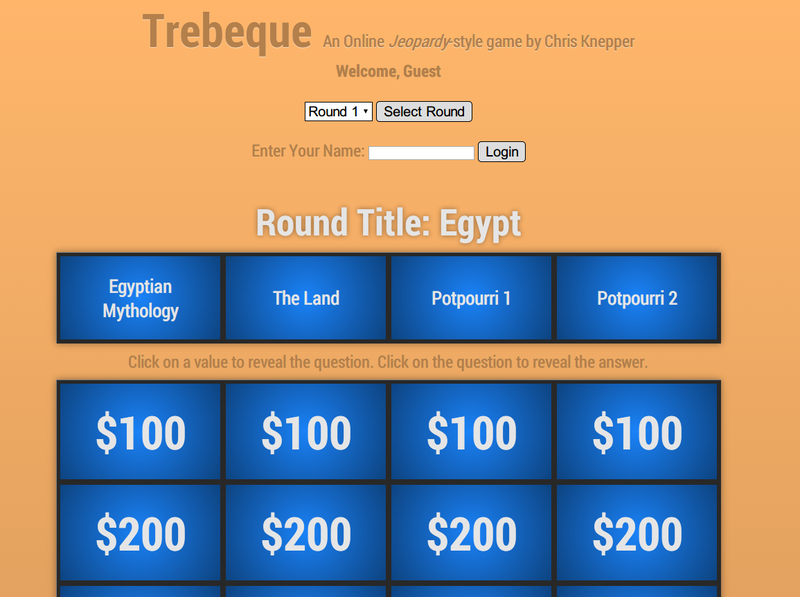 Trebeque is a PHP-driven trivia game in the vein of Jeopardy (but you probably gleaned that from the name). 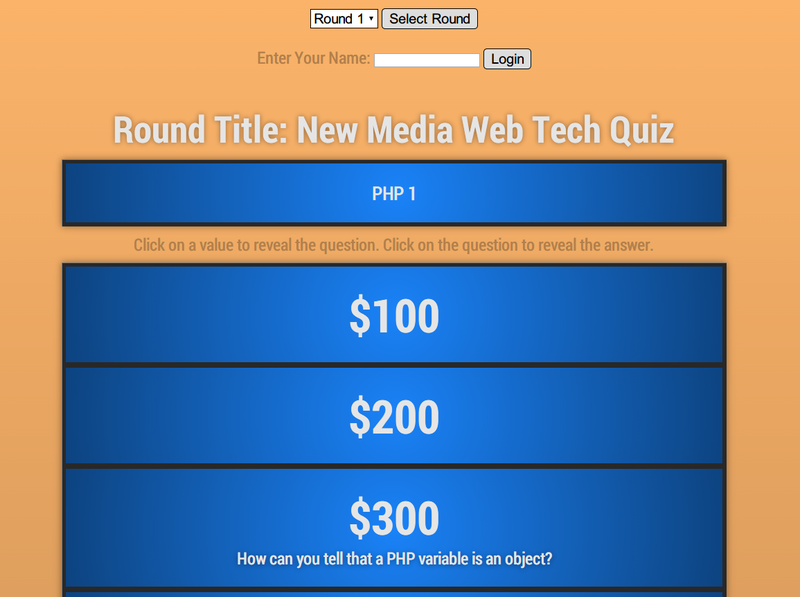 The program’s questions reside in a MySQL database and are rendered with PHP, plus the usual suspects: CSS3 and HTML. There is a server and client component. 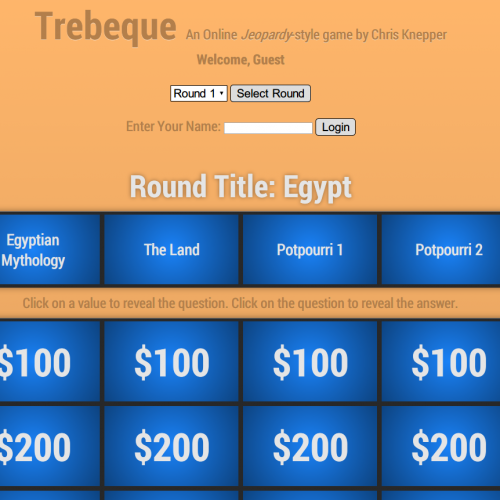 The client simply requests categories and renders the board. 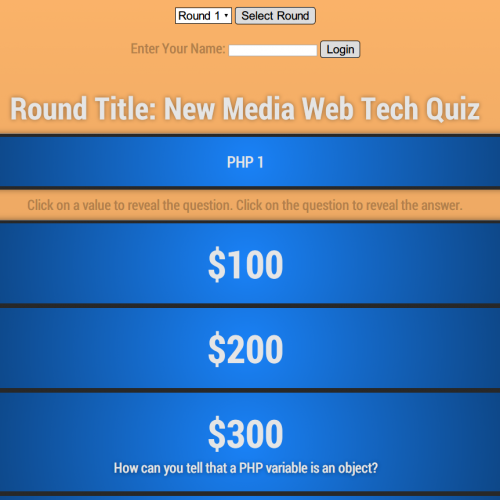 The server handles database interaction, as well as an interface which allows CRUD manipulation of the trivia categories and questions.